“London’s built memories are never far from its present” – we walk/drive/cycle past them and build alongside. 2017’s London Festival of Architecture (LFA) hosted hundreds of events during the month of June which explored the theme of ‘memory’. Festival highlights included the guided walking tour that we organised investigating the Estate of Today and Tomorrow. 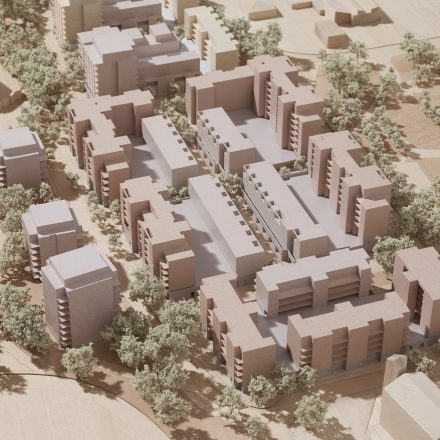 Much of our work at Mæ revolves around housing estates, whether it is new build or improving existing stock. From this context, for LFA 2017, we diverted the view from our current drawing boards towards the past to get a clearer vision for the future and place our work in a historical context. Our walking tour examined, in more detail, two successful and well-known historical estates; the Boundary Estate and the Golden Lane Estate. The Golden Lane Estate was built around 60 years ago and the Boundary Estate approximately another 60 years before that. Both have in common that they were built in times of change and at decisive points in the history of UK housing. With the current housing crisis, we find ourselves once again at a pivotal moment in which the estate, both new and existing, is placed under a magnifying glass. During the tour, we reflected on the historical evolution of large housing schemes and the current work on estates and estate regeneration. 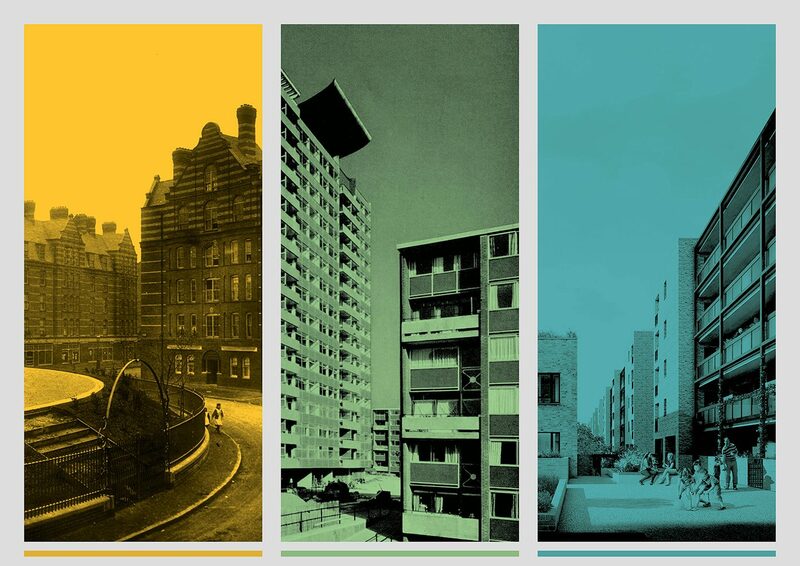 To frame our research, we created a PDF pamphlet that provides a graphic overview of these two existing estates and our current work, drawing up a comparison around themes such as the built form, density, history and policy. 2017’s London Festival of Architecture (LFA) highlights included the guided walking tour that we organised investigating the Estate of Today and Tomorrow. During the tour, we reflected on the historical evolution of large housing schemes and the current work on estates and estate regeneration. 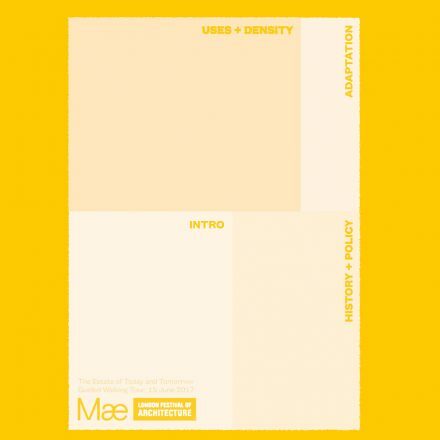 To frame our research, we created a pamphlet that provides a graphic overview of two existing estates and our current work, drawing up a comparison around themes such as the built form, density, history and policy.